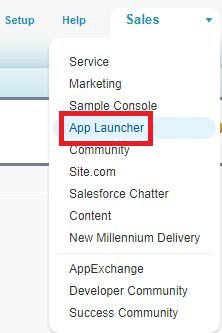 Setup, use and manage the Salesforce App Launcher, which provides a single sign-on portal for your users to launch approved Salesforce apps and external applications (also called "Connected Apps") from one interface. Administrators can leverage profiles and permission sets for granular control over who sees the App Launcher and the apps available in each user's App Launcher. Salesforce also provides tools and API support to customize the App Launcher, monitor usage, and block or unblock specific apps, as needed. 1. Enable Use Identity Features in System Permissions. 4. Use App Menu to organize Apps.